This delightful recipe was created by Pomora's friend Corrie at Rabbit Food - many thanks to her! 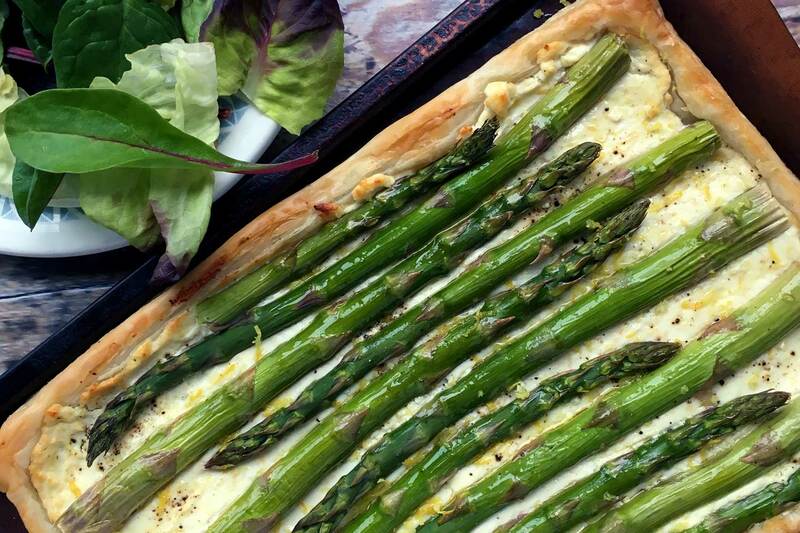 The harvesting season for asparagus traditionally starts on St George's Day - 23rd April - and continues until the summer solstice on 21st June and what better way to enjoy it than in this delicious tart. The zesty Pomora lemon-flavoured olive oil really brings it to life. Along with Corrie, we have also teamed up with Heartier for this asparagus and goat's cheese tart. What's more, we have negotiated a special promotional code just for Pomora readers. You can get £20 off your first order (min spend £50) using the code: "PM183".